Highland Health Providers (HHP) is pleased to announce the opening of Rocky Fork Medical Center, located at 11130 North Shore Drive, Hillsboro. The 2,720 square-foot building will offer full-time family medicine services by nurse practitioners Pam Knisley and Marsha Mitchell. This office will be fully staffed six days a week to accommodate new and existing patients. The office will also have radiology and lab draw capabilities for patient convenience. 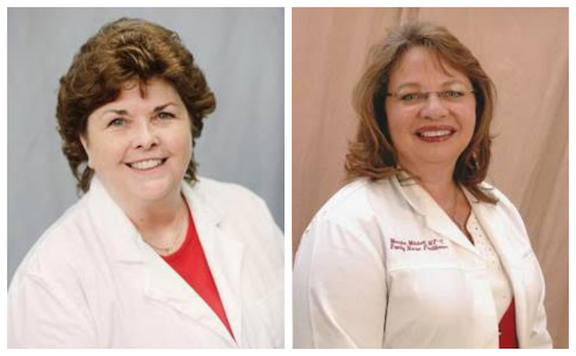 Knisley, APRN-CNP, has been practicing at Highland Family Healthcare in Hillsboro for six years, and Mitchell, APRN-CNP, has been practicing in southern Ohio for nine years. HHP is a Federally Qualified Health Center Look-A-Like, which focuses care on the medically underserved. This new location makes it more convenient for families southeast of Hillsboro to have access to medical care. To schedule an appointment at Rocky Fork Medical Center, call (937) 402-5491 or visit HHP’s website for more information at www.hhproviders.org.